Whenever we travel, we make an impact on the places we visit. However big, small, negative or positive, the choices we make while traveling create a ripple effect. At Mad Monkey, we always strive to create positive changes in the local communities. One way we do this is by partnering our hostels with a local project – building water wells in Siem Reap or providing an education fund in Phnom Penh. As backpackers, there are some easy ways to travel ethically. We all know by now not to ride elephants, but there are also dozens of shops, restaurants, cafes, and other establishments that contribute to a good cause! 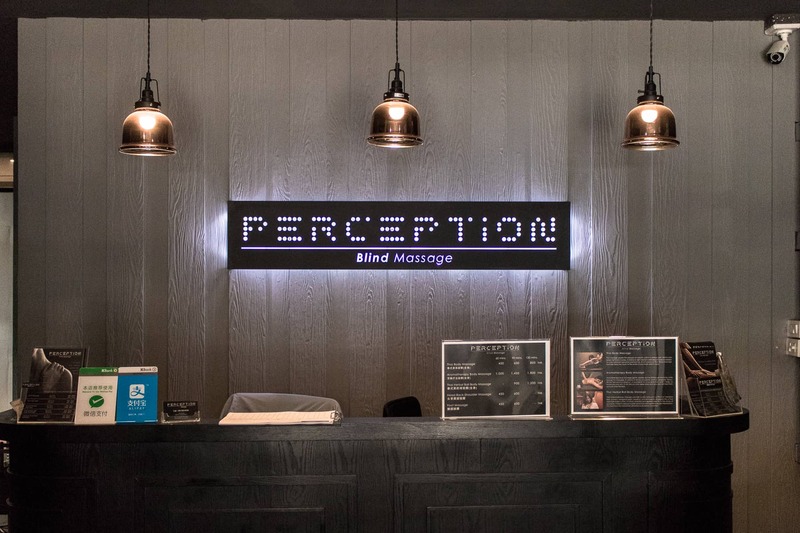 Get a massage from a blind person, eat at a cafe where the profits help refugees or buy your souvenirs from local artisans who formerly relied on the opium industry for work. 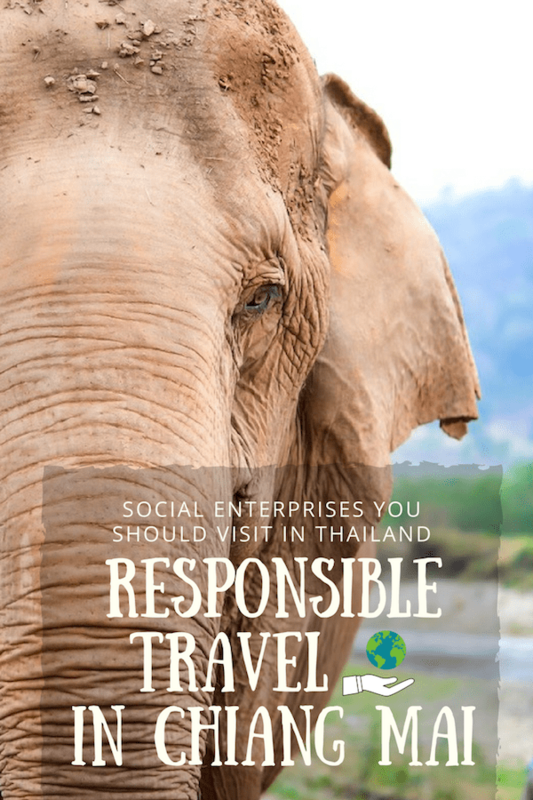 These are some of our favorite social enterprises in Chiang Mai so you can travel in Thailand responsibly! Pampering yourself while also contributing to a good cause? Count me in! Massage therapy is a marketable skill that’s often taught to disadvantaged and at-risk individuals. We all love Thai massages so this type of business tends to flourish in this country. 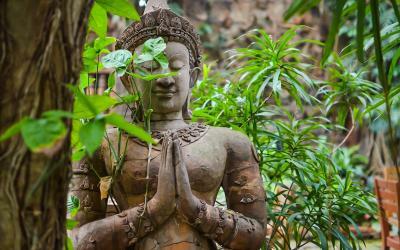 Check out some fantastic spas where you can treat yourself and also learn a bit about the culture. Prison massages might sound intimidating, but we promise you won’t be locked up in a cell for this experience. The mission of this organization is to help women maintain sustainable jobs so they can build a life after they’ve served their time. 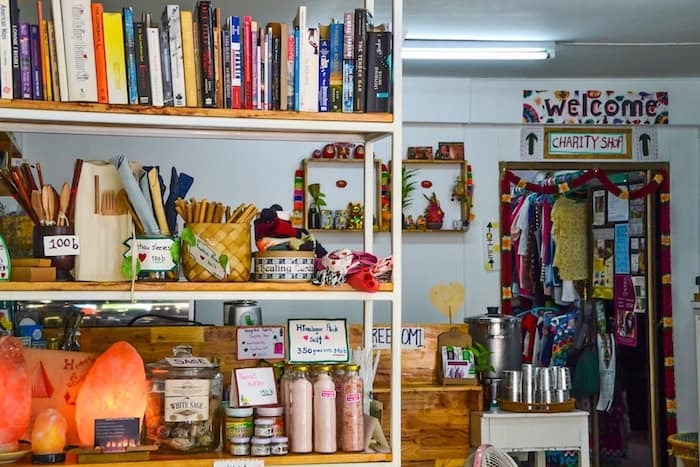 The Chiang Mai Women’s Correctional Institute has a spa, restaurant, and shop. The only thing that distinguishes them from other spas are the guards that work here. The spa is comfortable and clean, with soft music playing in the spacious, open room. The service here is impeccable and the food at the restaurant is equally fantastic. 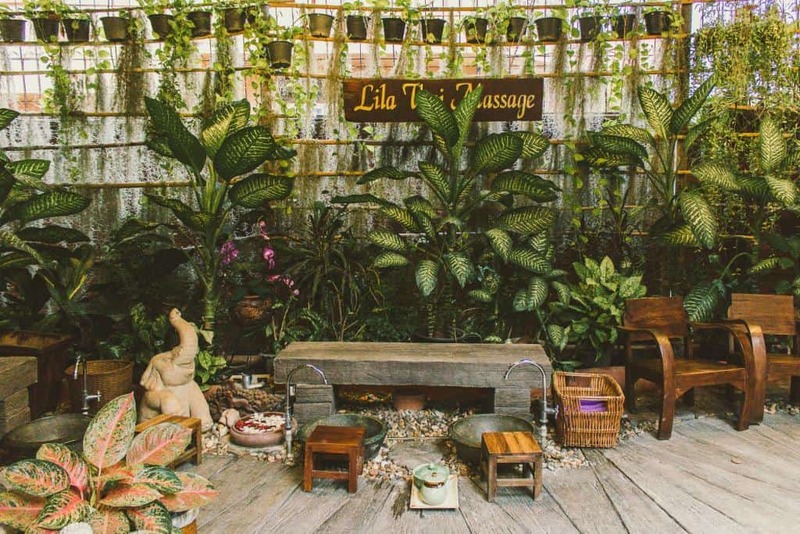 Lila Thai Massage is another parlor that is making a difference in this Northern Thai city. Lila Thai Massage was established by Naowarat Thanasrisutharat, who is also the former director of the Chiang Mai Women’s Prison. She dedicated her life to making former inmates transition back to the real world an easier one, and that is how Lila Thai Massage came to be. It helps keep women out of prison and employed, and it keeps you relaxed and feeling great afterward. Work out those travel kinks all the while supporting a good cause at Perception Blind Massage. This massage studio offers its visitors so much more than an epic massage. It is a bit more expensive than your typical massage parlor, but that is because this is not your typical spa. Every person employed here who gives massages has a sight disability, and this parlor gives them a chance to be employed when they might otherwise not have work. Visitors fill out a form prior to their massage indicating if they want a more gentle or rough massage, ensuring that you get exactly what it is that you want. It is recommended that you book ahead of time, as this parlor usually remains busy. 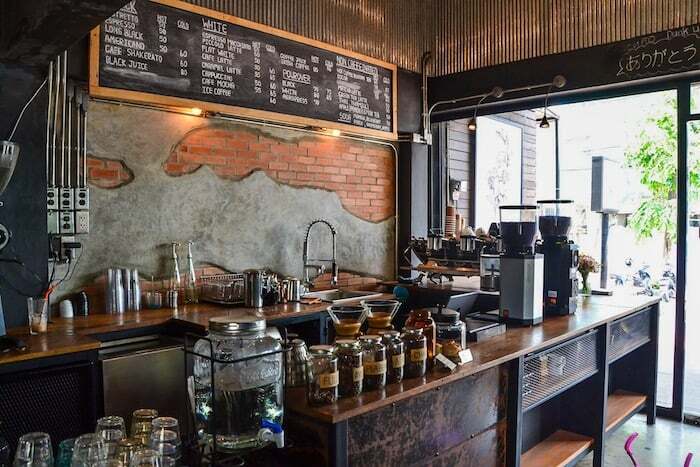 Social enterprise cafes and restaurants are becoming more and more popular, especially in Southeast Asia. Whether they’re a training cafe, providing skills to disadvantaged women, or donating proceeds to a great cause, food just tastes better when there’s a story behind it. 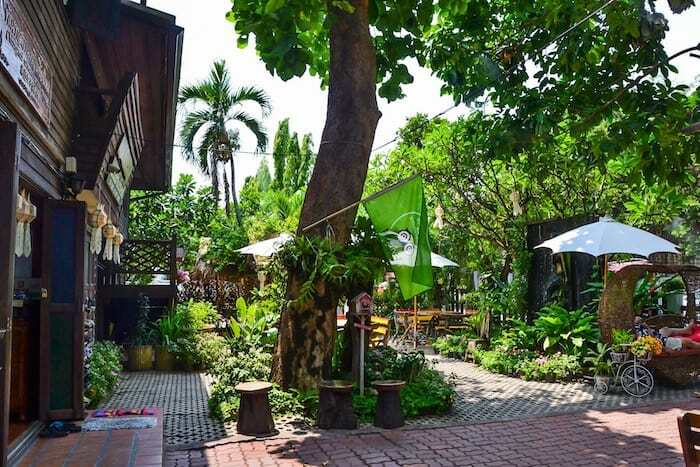 This colorfully quaint cafe is the perfect place to catch your breath and relax during your travels. 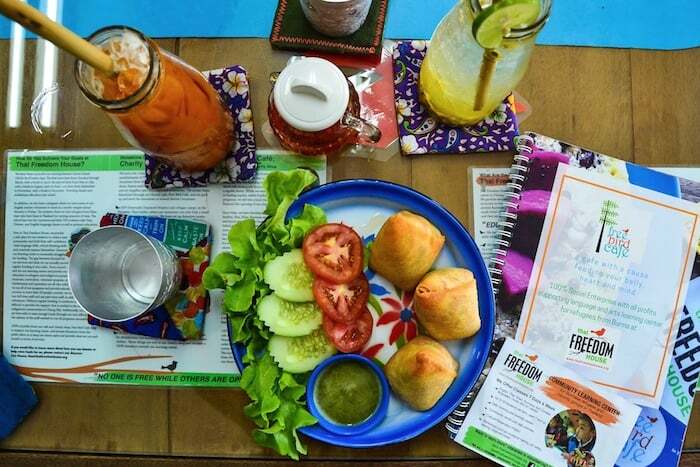 Not only is the food incredible, but the aim of this cafe is to raise money for Thai Freedom House, a language and arts community learning center founded in October 2005. Most of the students are Burmese refugees or Thai minority groups from small hill tribes. Free Bird gives 100% of its profits to this non-government, non-for-profit school. They focus on language and arts, teaching skills to help students get sustainable jobs. In addition to serving food, Free Bird also has a shop selling handmade goods made by students. 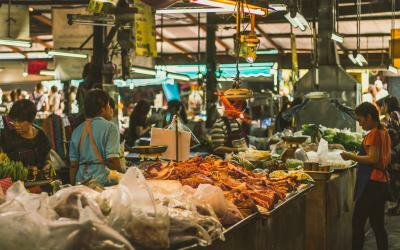 People can also donate clothes and household items and these goods are either given to refugees or sold to donate more money to Thai Freedom House. 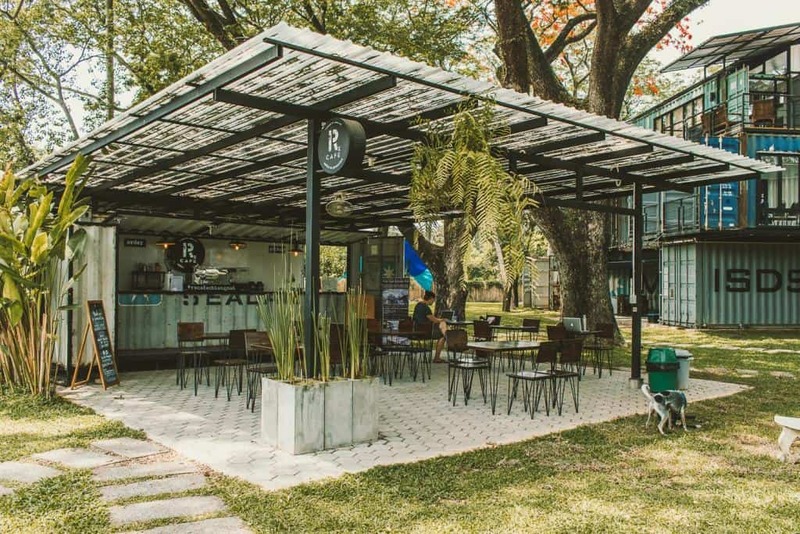 RX Cafe Chiang Mai is nestled between CrossFit gym and co-working space just beyond the walls of the Old City. It lacks any type of exterior, allowing visitors of this cafe to truly enjoy the green foliage that surrounds this coffee shop on all sides. This cafe is serving up cold brew coffee, espresso, bulletproof coffee, and more. They are also serving up a few food items to go along with your coffee, should you build up an appetite. 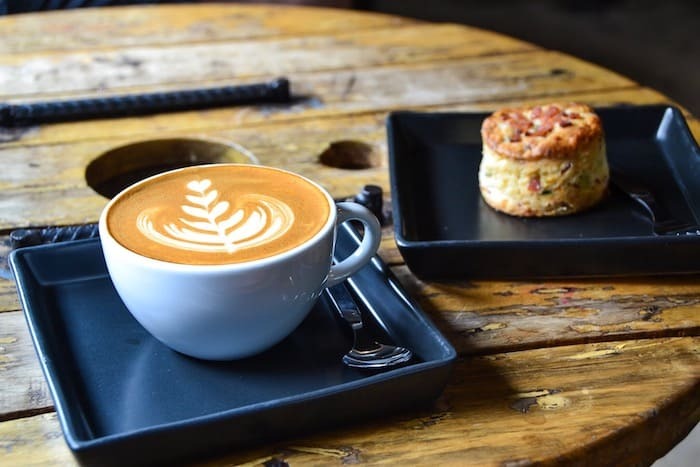 Partnering with Lanna Cafe, a Fair Trade Foundation, the coffee beans at Rx Cafe are locally sourced from hill tribe communities, so you can feel good about indulge in your favorite cup of Joe. The Akha are an ancient tribe of people living in the mountains of Thailand and neighboring countries. They’re known for their colorfully embroidered clothing and vibrant headdresses, but more importantly, for their coffee. The climate of the Thai mountains are an ideal place to grow the famous Arabica coffee beans, but the Akha take it a step further with their superior agricultural skills. In 2010, one Akha family decided to cut out the middlemen of their coffee business. Instead, they would process and market the coffee beans themselves. They also introduced a sustainable “multi-cropping” model for their coffee, which scaled down the amount of herbicides, pesticides, and fertilizers used. Not only does this method result in high-quality coffee, but working with nature has proven to help the ecology of their land, creating better soil, deterring pests, stabilizing the land against erosion, and retaining moisture during the dry season. The chill vibes of this cafe make for the perfect atmosphere to enjoy a delicious cup of coffee. 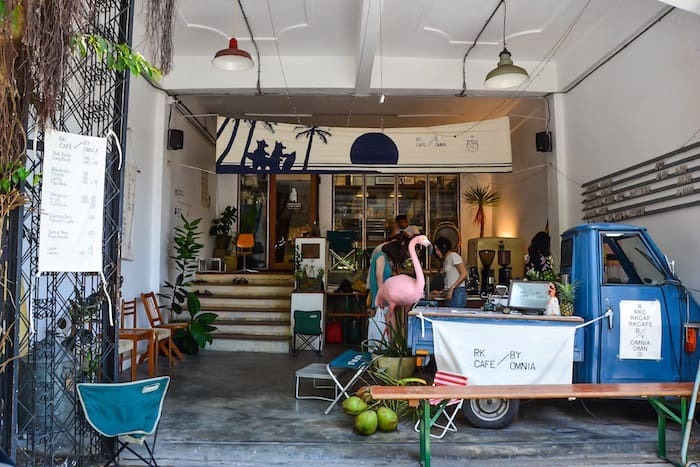 What started as just a small shop with an espresso maker and a few cups, has turned into a trendy cafe, full of locals and tourists alike wanting to try this famous coffee. If it’s especially hot out, try the shakerato: a double espresso shaken, not stirred, in a cocktail shaker full of ice. 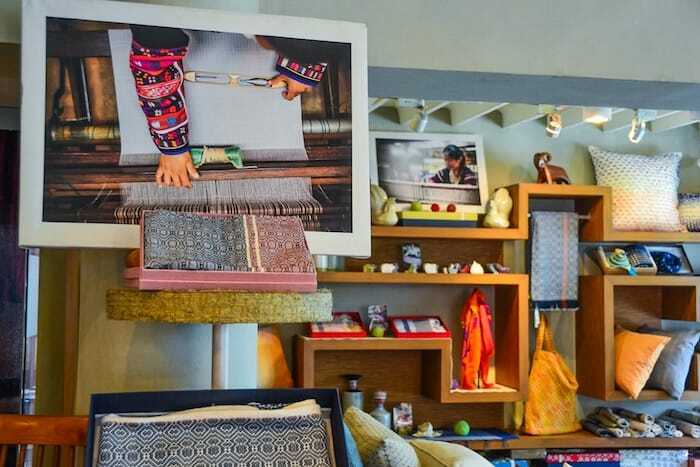 It’s easy enough to buy souvenirs in Thailand, but if you want something with more meaning, head to one of these socially responsible shops. 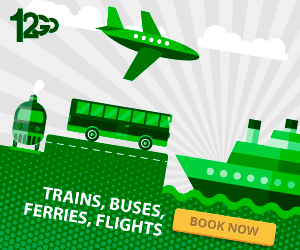 If you prefer to keep your baggage light, check out one of these experiences to make memories that will last you a lifetime. 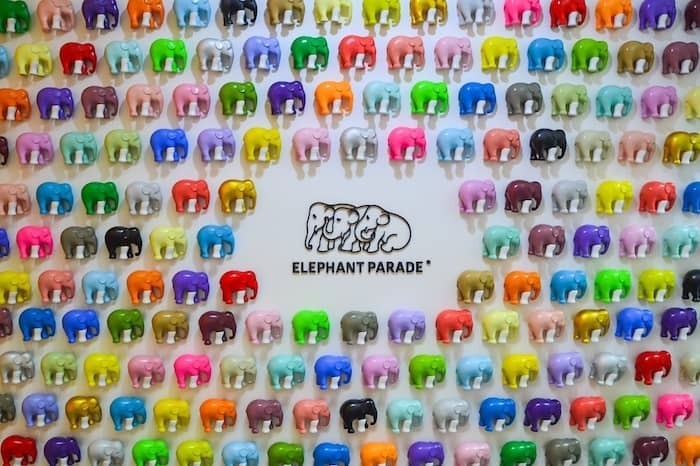 Elephant Parade Land is a social enterprise that spreads awareness through art. Artists and celebrities from around the world are selected to paint a life-size baby elephant statute. 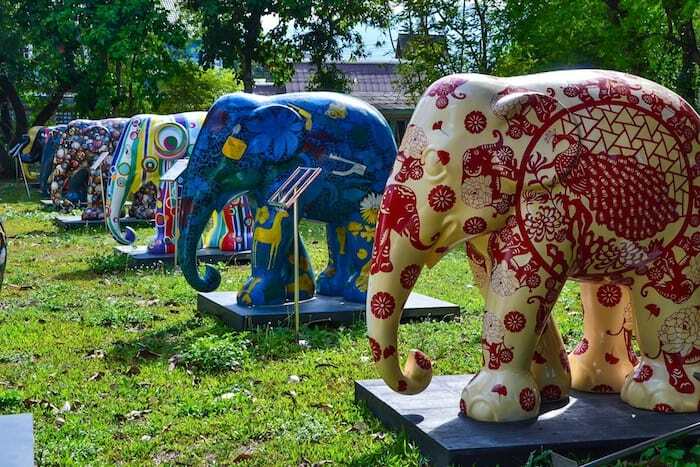 These elephants are then featured in an exhibition where they are auctioned off, with the proceeds going towards elephant welfare and conservation. You can visit one of the Elephant Parade House shops to buy some souvenirs, but if you want the full experience (which we highly recommend! ), then venture a bit north of the old city to see Elephant Parade Land. Learn all about elephants and the crucial role they play in their environment in the Elephant Parade Land museum and video room. Discover fascinating facts about them, why they’re now endangered, and how we can help try to prevent their extinction. You can also paint your own baby elephant statue or purchase a limited-edition statue as a keepsake. 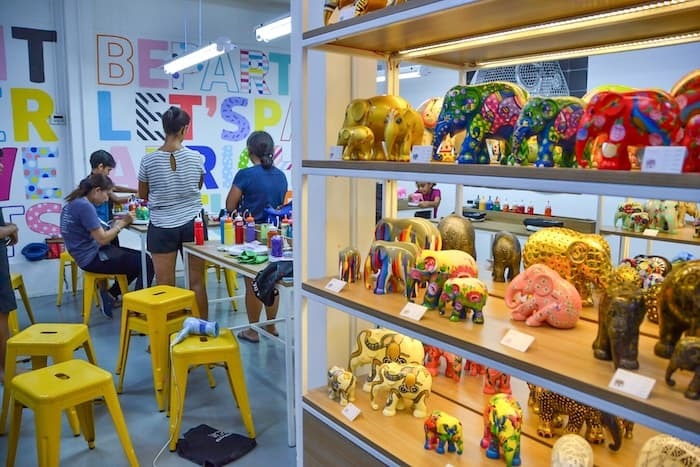 Make sure to check out the workshop where you can watch the replicas being painted, and wander through the elephant garden, which showcases dozens of colorful, life-size baby elephant statues. Hours: Daily from 9 a.m. to 5 p.m. 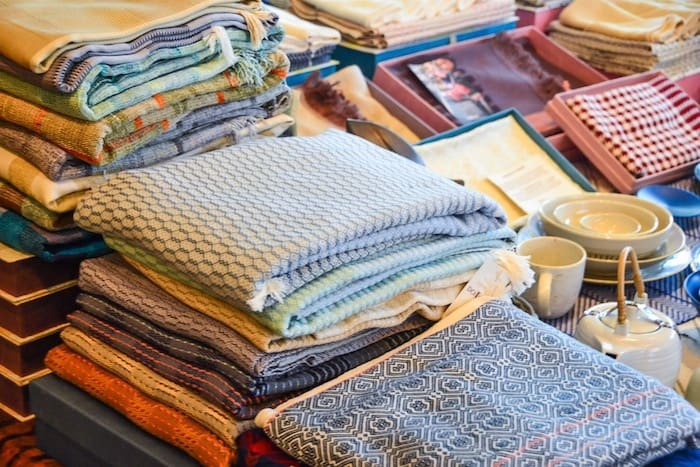 This innovative company sells high-quality goods using recycled material. Mostly using the inner tubes of tires, Rubber Killer creates backpacks, messenger bags, shoes, accessories and more. These environmentally conscious goods are both durable and fashionable. Rubber Killer aims to be conscious of every aspect of their business, from their carbon footprint to their employment practices. Hiring locals and people from hill tribes, they pay fair wages and also give scholarships to disadvantaged youths in Thailand. Hours: Daily from 10:30 a.m. to 7:30 p.m.
Doi Tung is a mountainous region in northern Thailand. The Doi Tung Development project was created to give locals an opportunity for sustainable work so they could free themselves from the incredibly prevalent opium trade. What was once a place where the majority of people not only relied on opium for work but were also addicted to this drug, has transformed into an area full of artisans and agriculturists. This project was initiated by Her Royal Highness Princess Srinagarindra, the late Princess Mother of Thailand. Like her son, she wanted to end opium cultivation and dependency, and empower the Doi Tung people to create their own livelihood. Starting with reviving their land, the Doi Tung Development Project worked to transform this entire region. This organization worked on health issues, education, and economic development. 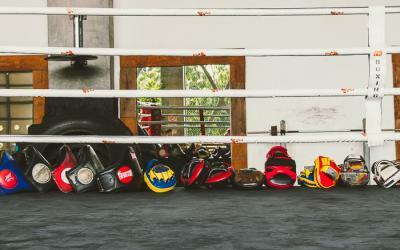 DoiTung products are high quality and use sustainable production methods. Generating sustainable income has lead to a higher quality of life and a craft that they can pass down to generations to come. 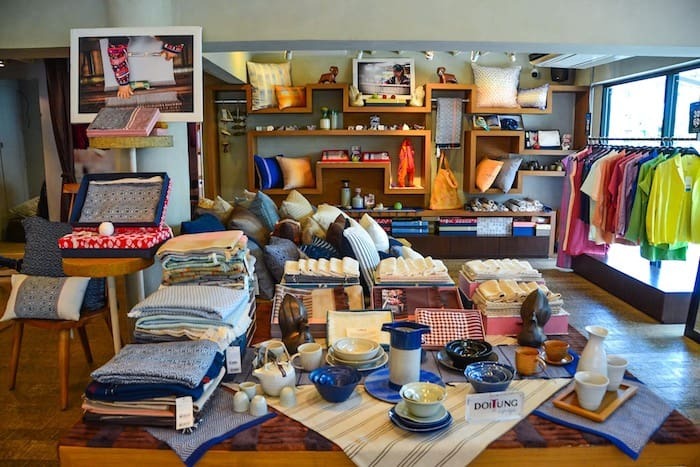 Shop their handwoven textiles and carpets, ceramics, fashion accessories, and other household goods at DoiTung Lifestyle. Hours: Daily from 10 a.m. to 8 p.m. 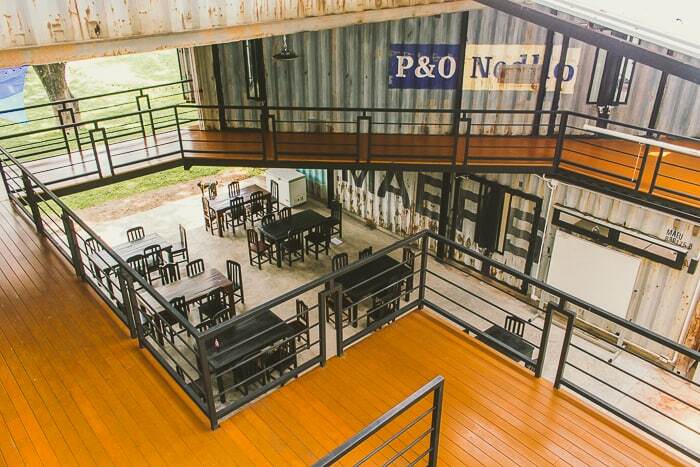 The International Sustainable Development Studies Institute (ISDSI) campus itself is incredibly impressive, utilizing seventeen shipping containers from the ports of Bangkok into the main building. The design and functionality of the ISDSI campus is also sustainable, ensuring that its usage will leave the smallest carbon footprint possible. 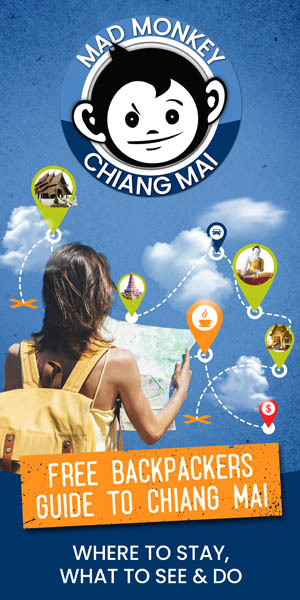 Students interested in studying abroad in Thailand can apply for an exchange program to attend ISDSI. This program started in 1998 and focuses on experiential learning and empowering local communities. A lot of this course is spent in remote villages working on rural development. If you’re studying sustainable development, you should definitely check out this campus and its program. 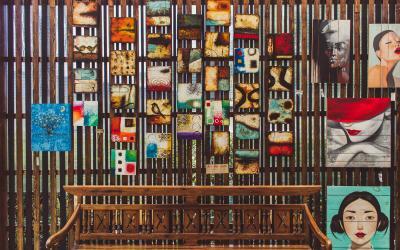 Otherwise, you can still admire the sustainable architecture and grab a coffee at Rx Cafe. 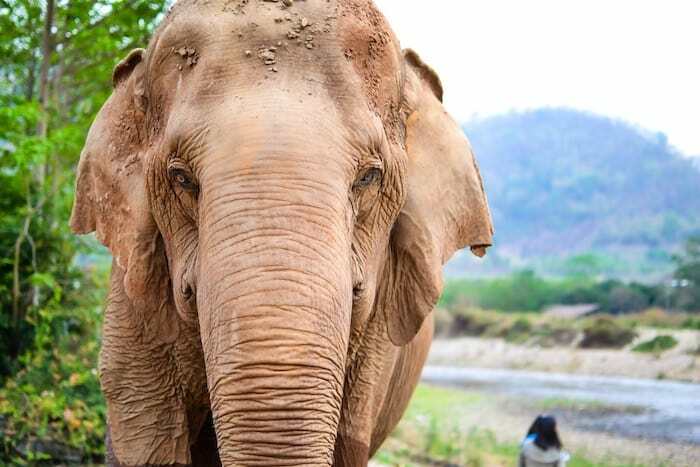 The beloved Asian elephant is sadly exploited in many camps and circuses across Southeast Asia. It’s sometimes difficult to know if a park is ethical or not and if your money is going towards a good cause. 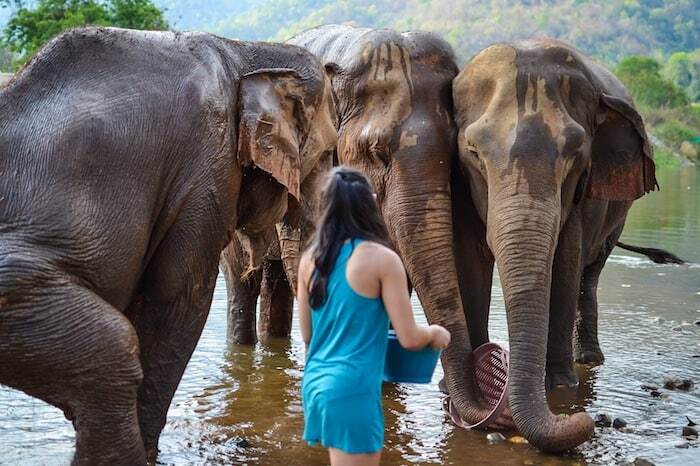 Luckily, the Elephant Nature Park is one popular conservation center that tourists can rely on for being humane and providing a meaningful experience. Travelers can visit for the day or volunteer for up to two weeks. 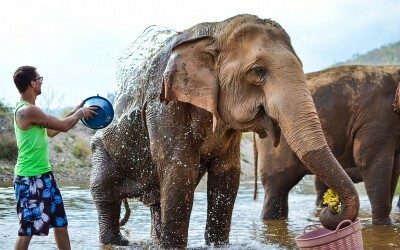 You’ll learn about the elephant industry and of course, interact with the elephants by bathing or feeding them. Read more about the Elephant Nature Park experience here. Office Hours: Daily from 7 a.m. to 7 p.m.